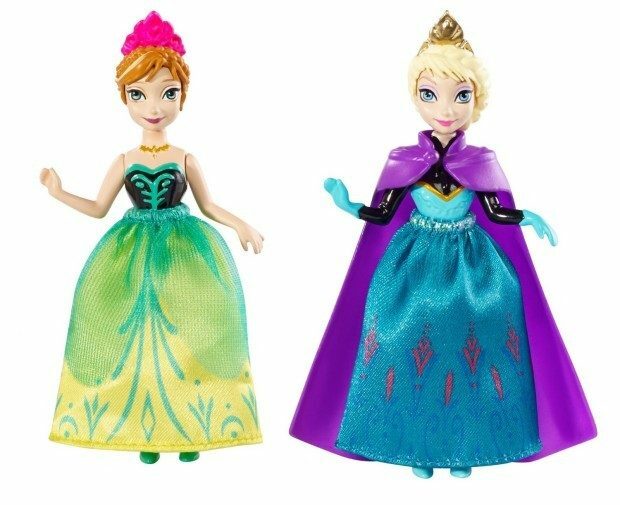 Disney Frozen Princess Sisters Celebration Anna and Elsa Small Doll Just $4.80! You are here: Home / Great Deals / Amazon Deals / Disney Frozen Princess Sisters Celebration Anna and Elsa Small Doll Just $4.80! Head over to Amazon and get the Disney Frozen Princess Sisters Celebration Anna and Elsa Small Doll, 2-Pack for just $4.80 (reg. $11.99). Shipping will be FREE with Amazon Prime or an order of $35 or more. Elsa also shows off her long sleeves and iconic purple cape. Both dolls wear their signature Coronation Day crowns.